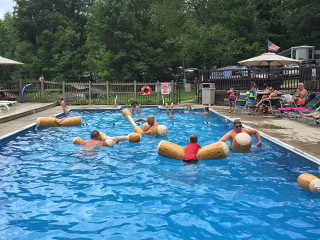 Swimming… fishing… boating… basketball… volleyball… there are so many different ways to have fun and enjoy the great outdoors at Shore Forest Campground that we’re sure that everyone in your group will be able to find a way to make memories that will last a lifetime! You're definitely going to want to bring your swimsuit when you visit Shore Forest. Open from Memorial Day to Labor Day, our beautiful, heated, in-ground swimming pool is very popular among our guests all season long. Looking to just kick back and relax? Check out our spa! 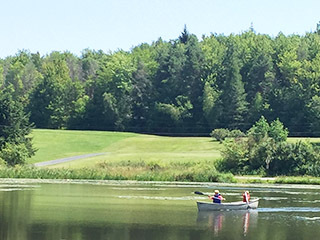 Our very own 5-Acre Lake provides hours of fun for campers of all ages. There are so many different ways to enjoy the beautiful waters whether you're kayaking, canoeing, or swimming! 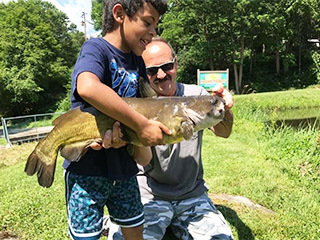 It doesn't matter whether you're eight or eighty... there aren't many feelings as special and rewarding as reeling in The Big One when you feel that tug on the line. Grab a pole! 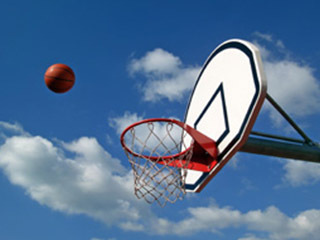 Whether you're a highly competitive sportsman, or just looking to casually throw some shots up, our basketball court is a great way to enjoy the outdoors while also getting your game on! 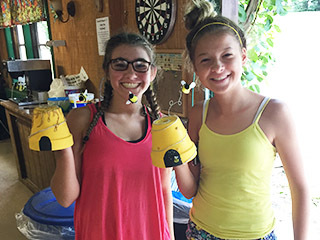 Shore Forest offers frequent arts and crafts sessions as a regular part of our scheduled activities, to let campers of all ages get creative and find their crafty side! 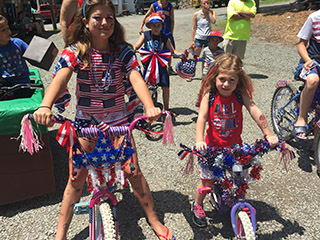 There's always something going on at Shore Forest to keep our guests well entertained. Be sure to head over to our Calendar of Events to learn more about what's going on each weekend! The facilities are always up to date and are super clean! It is a great experience for children with a beautiful pool and playground. There’s lots of scheduled events or you can just enjoy a peaceful evening by your campfire. Our experience through the years has been nothing but awesome!